Brandon (Yogi Bear) and Jenn (Boo-Boo) took a day trip to French Creek State Park. They went to the top of quarry where the view of the park is stunning. However, this spot is marked 'No Trespassing'. To their misfortune, a Park Ranger spotted them. The Park Ranger called me (and Jenn's mom) because they are both minors. Due to this infraction, Brandon and Jenn are both receiving fines. Obviously they weren't dealing with Ranger Smith, who always seemed to be easily fooled. Speaking of Brandon. Today is his 17th birthday. Happy Birthday Baby! Maroon 5 is hooking up with American Express and iTunes to perform a live concert. 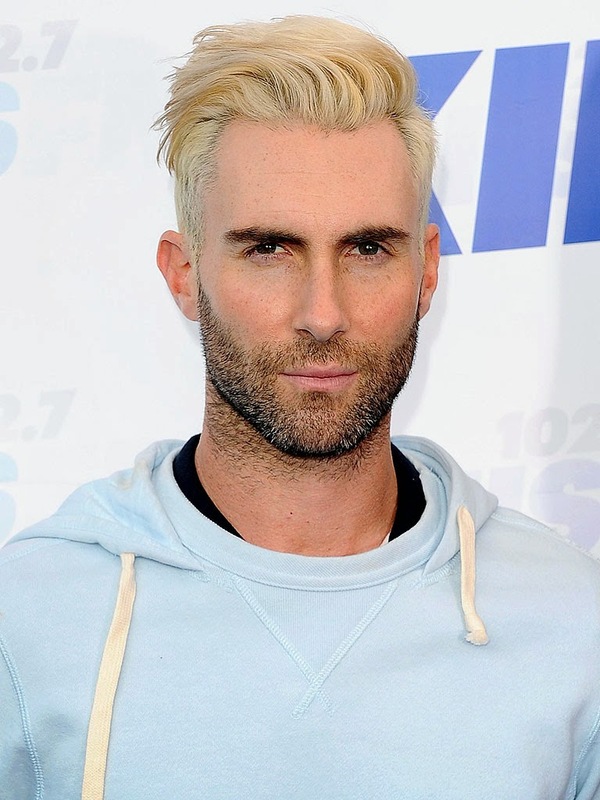 I'm excited to see the show... not the blonde hair on Adam. What was he thinking? 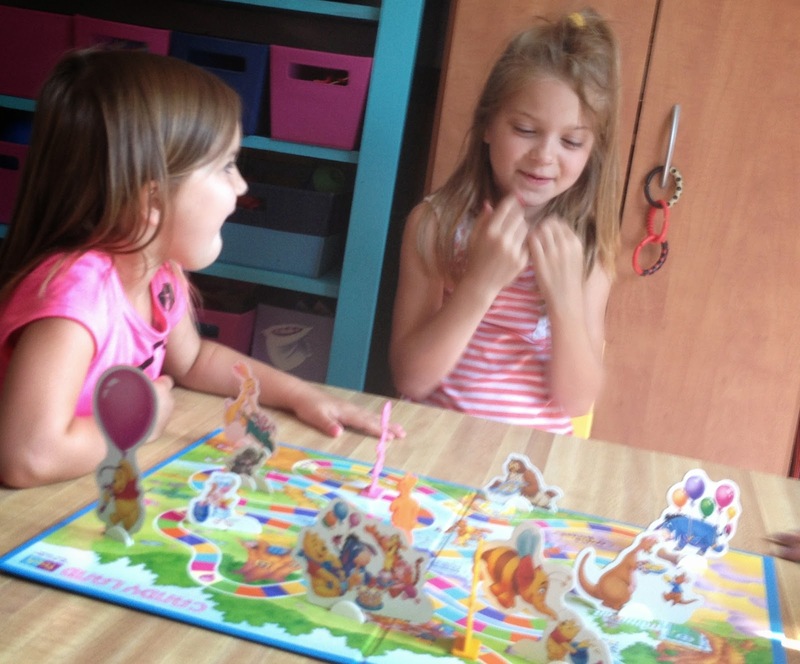 We played Candy Land ump-teen times this week. Father's Day Craft was a big hit! Todd left for England last night. He is chaperoning a high school group for 10 days. In case you are wondering: Yes! I am jealous and wish I could go too!! 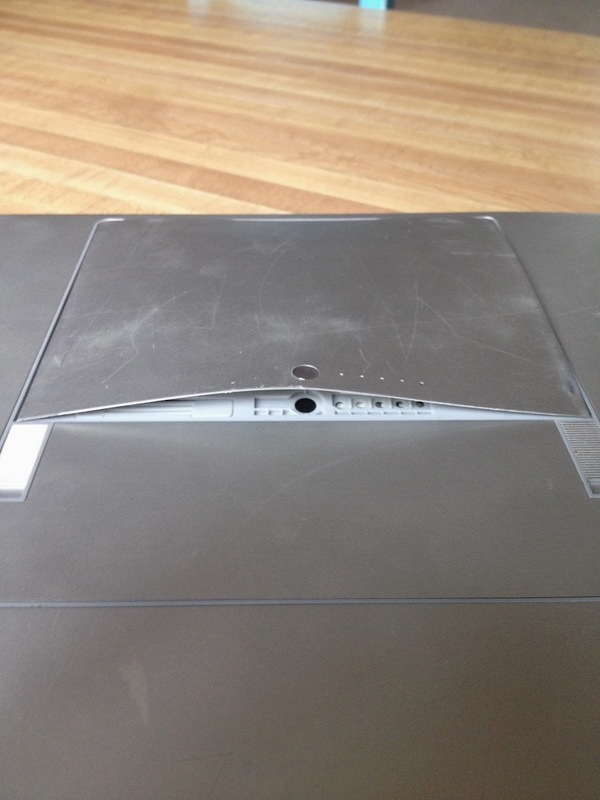 How in the world does a laptop battery pop open like this? It doesn't work anymore (captain obvious). Have a fabulous Friday and wonderful Weekend!! Don't forget to share your Friday Fragments too. Cute craft and I remember playing Candyland as a kid and also playing it with my girls. Love the card. Grampy got a picture made for him with a sun on it. So weird about the battery. Heat, maybe? I don't know how much the fine is. I am guessing around $150. The only place I've travelled overseas is Ireland and that was over 10 years ago. I guess it's hard to tell, but the Father's Day craft is actually on canvas for Daddy to hang up like a picture. It turned out really well. That blonde hair... ugh... he really needs to change it back... now!!! Those law-breaking rebels! LOL Hope the fine isn't too bad. Love the Father's Day craft! And the trip to England sounds pretty cool. He looks like Miley Cyrus!! Just trespassing in a park doesn't seem like too much of a problem. Hopefully a small fine. England was fun on most of my business trips back in my days of business. I wouldn't mess around much with that battery. They have been know to explode and/or start on fire. They do need to be recycled at the correct place. I have to laugh at Brandon mischief...he is a good kid! But with three boys you have probably seen and heard it all. Keeps you on your toes! What an exciting trip for Todd! I love London...Have a nice weekend ! I'm taking the battery to the local Apple store. I would think they would know what to do about recycling. Every time I think Brandon has done it all, he does something else. He is a good kid (who is not good at getting away with the dumb things). Have a good weekend too!